It has taken years of successfully meeting the needs of the local business people for All County Garage Doors technicians to be considered as the best garage door repair company in the Jacksonville. We take our knowledge of the industry, and together with a comprehension for business standards, develop an appreciation the diverse needs and requirements of our business clientele. On the commercial front, we focus on commercial garage door installation, door maintenance and probable upgrade to a modern design. We use only the best materials and parts available in the market so that our client base is more than happy with the result. Our technicians have always been counted on when a client needs a job done. Our handling if garage door matters mean you or your work doesn’t have to be inconvenienced. The door options we offer commercial clients are all made from the best materials. The hardware, design and workmanship that go into each door all give a final product that can withstand daily activity. The doors are built to last, and the rate of decay or breakdown is very low. Unlike other doors, the doors we offer meet all your quality and durability criteria to provide safety and comfort. 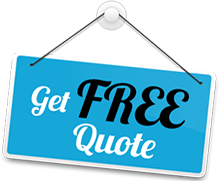 We are the leading resource for superior commercial door assistance in Jacksonville, FL and we are always willing to carve out helpful suggestions to your garage door situation.